Configuration wizard guides the user step by step, ensuring automatic errors correction and cutting commissioning time in half. 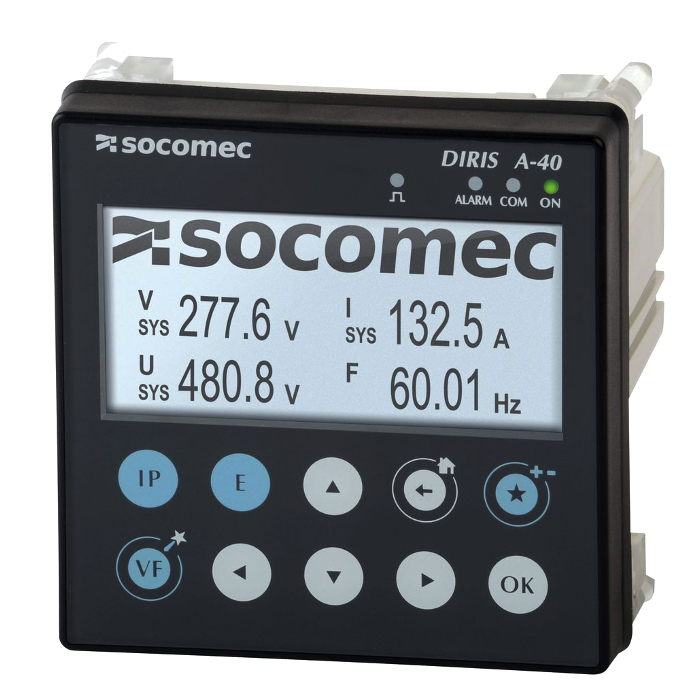 The DIRIS A-40 is a panel-mounted power monitoring device for measuring, monitoring parameters such as voltage, current, power, energy and power quality of electrical installations. Compatible with TE/TR/iTR/TF smart current sensors. Versions with Modbus RTU, Modbus TCP, BACnet IP and Profibus communication, making integration into Energy Management Systems easy. commissioning time in half and ensures consistent readings.